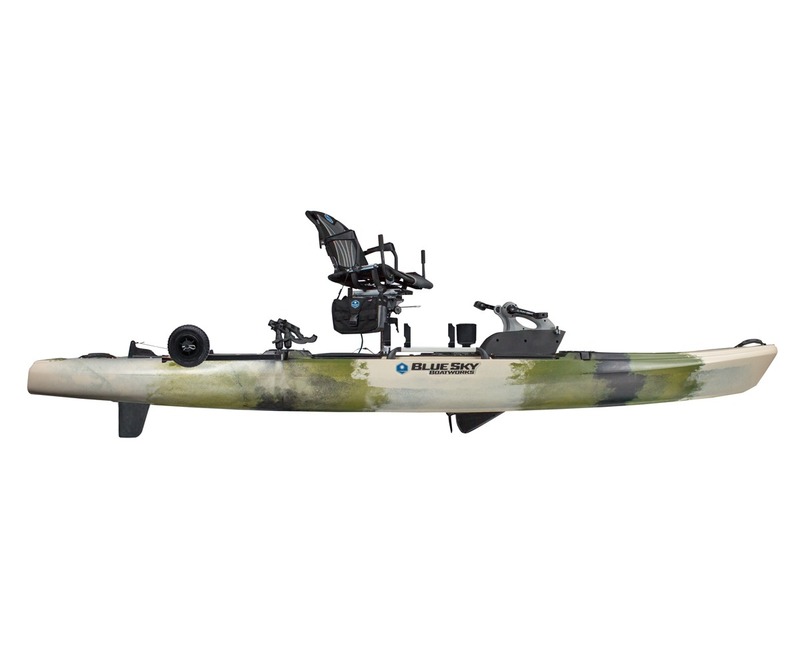 For those who want a boat specifically designed for fishing, the 360°Angler sits comfortably between the bass boat and the kayak without compromising space, comfort, accessories, storage, stealth, and the ability to get to those skinny/shallow waters the big boats can’t. The Angler has gear tracks for rod mounts, comes with rod holders, has hull storage for rods and tackle boxes and much more. Jackson Kayak has designed a patent-pending prop-driven pedal system which allows for hands-free forward and reverse propulsion for kayaks. Named the Flex Drive, it consists of a daggerboard-protected tri-prop propeller which, combined with unique articulation of the prop system, gives the Flex Drive increased performance over other drives and helps keep the system clear of obstacles and easy to clean. Jackson Kayak’s Flex Drive System can quickly adapt from deep to shallow water navigation without having to move the main pedal drive unit. The Flex Drive is easily deployed with the flip of a lever, has adjustable pitch prop blades and a 12:1 ratio.